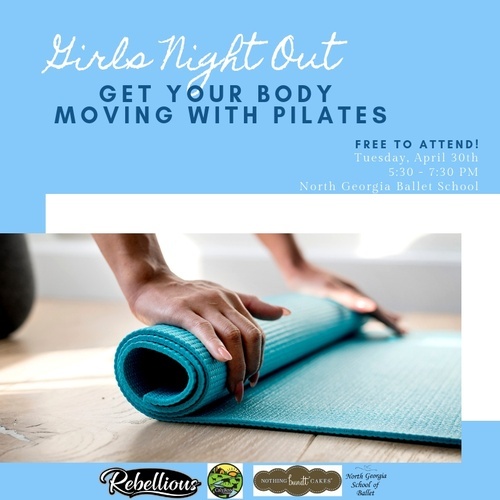 Girls Night Out - "Body Vibes - Get Your Body Moving with Pilates"
Name: Girls Night Out - "Body Vibes - Get Your Body Moving with Pilates"
Have you ever wondered what Pilates is all about? Wanted to try it out but never took the time to find a class? 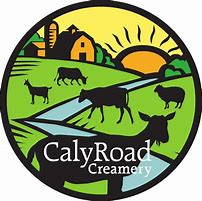 Join us for an evening of fun. Mingle with a group of fabulous women and enjoy wine, cheese, bundtinis and Pilates in the cozy atmosphere of North Georgia School of Ballet. 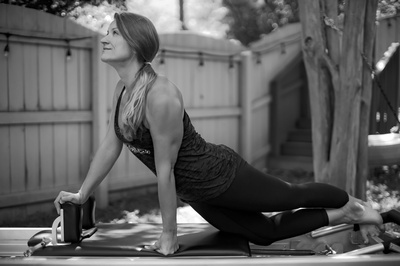 Come play on the mat and experience firsthand the amazing benefits of Pilates. *Please bring a yoga mat if you have one. Maria Angelova, Founder of Rebellious Intl, a lifestyle and wellness company.